Whether it’s mehendi for your hair or your hands, using good quality henna powder ensures your results are always the best. However, it can seem difficult to know what exactly makes certain henna powders better than others, especially in a country like ours where there are endless options. While there are some known brands like Shahnaz Husain and Godrej, there are also some new, relatively unknown ones like Radico and Hennaveda. 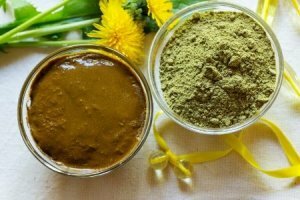 Since it is hard to tell what makes henna powders different, in this article we will discuss how you can choose the best mehendi powder, and also give you a list of the top 10 best henna powders available online in India. It might seem easier to simply ignore the hassle of checking what makes henna powders different, but that would also increase the chance of getting disappointing results. In order to make sure you can buy the best product for your specific needs, here is a list of things you should keep in mind. One of the most important things you need to ask yourself before you buy anything is what purpose you’re buying for. 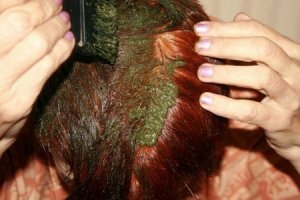 Usually, people buy henna either to colour their hair or to apply it to their skin as body art. Based on these two uses, the type of henna you might want could be different. 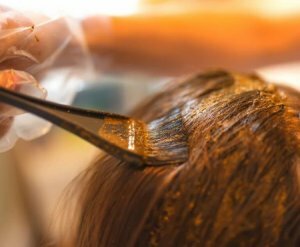 If you’re planning to use henna powder to dye your hair, then you should go for all-natural and chemical-free options, as they won’t irritate the sensitive skin on the scalp. Such henna powders help those who want to cover greys, as well as those who want to add a reddish tone to their hair. Natural henna also conditions the hair, making it much softer and glossier, unlike henna powders which contain unnecessary chemicals that can often damage your hair. Simply known as mehndi or mehendi, decorating one’s hands and feet during festival season or weddings is a common practice in India. Although, there is no need for any special occasion, and some of us may just want to apply it for no particular reason. You must be careful while buying mehendi powder for this purpose though because it can sometimes contain harmful chemicals such as PPD (para-phenylenediamine), which make the colour darker but are also known to cause allergic reactions. The texture and intensity of stain for henna often depends on where the henna has been sourced from. Henna grown in different regions has varying levels of colour intensity and stringiness, so you should choose the type that you think is the best for you. Moroccan mehendi is stringier than the usual Indian mehendi, therefore, it is great for those who want designs with really fine lines. It also gives a slightly warmer, almost crimson-toned stain, so if you prefer that over the reddish-brown tone of most Indian henna, then this would be great for you. However, Moroccan henna powders are not easily available in India, and the few that are available, are really expensive, so we wouldn’t really recommend them to everyone. Some of the best mehendi in the world is produced right here in India, in the beautiful state of Rajasthan. If you’re looking for a henna powder that is affordable, easily available, and not too stringy, then this is one for you. The colour results from Rajasthani mehendi are also much darker, especially on skin, where it can sometimes be as dark as reddish-black. To get a fine, creamy paste, free of lumps and unnecessary bits of sand and stones, you must make sure that the henna powder is finely sifted. Henna powder that is not sifted a few times can often make application harder, and the results will not be as clean either. 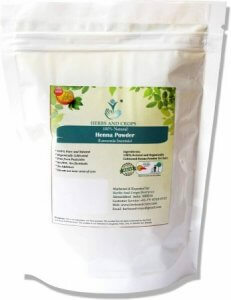 You should have a look at the reviews to check whether the henna powder you’re interested in is finely sifted or not. 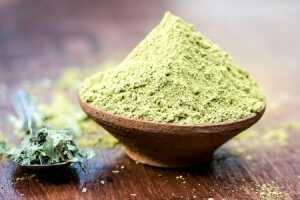 As we discussed earlier, you need have a look at the list of ingredients to make sure that the henna powder you’re going to purchase doesn’t include any chemicals, as that would defeat the entire purpose of using a natural hair dye. Henna powders that claim to have almost-black stains, often contain PPD(para-phenylenediamine), which is a known skin irritant that should be avoided at all costs. 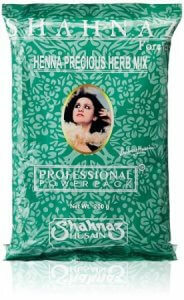 Dye release time refers to the amount of time the henna powder needs before it is ready for use. Depending on the powder, this time can greatly vary, going from 3-4 hours to almost 6-8 hours. Therefore, you must make sure that the dye release time is not too much of a hassle for you, and you can let the powder sit for the required time before use. Now that you know how to choose the best henna powder, let us reveal our picks for the top 10 best henna powders to buy online in India. 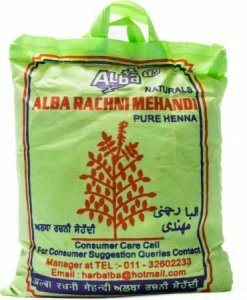 Those preparing for a festival and need a huge pack of mehendi to share with friends and family would love this product. 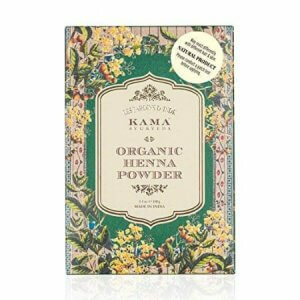 It has a stringier texture than most other henna powders, so it’s perfect for those who like designs with finer lines. Moreover, it is a 1 kg pack, so it is one of the most affordable options on the market, especially if you’re sharing it. Although, if you’re looking for something that you can use on your hair as well, then this isn’t the product for you as the colour it gives is not dark enough to suit those with brown or black hair. Additionally, there is no information about the dye release time or how well sifted the product is, so it is a bit hard to judge the quality of the powder. This is a great product for those who do not have too many grey hair strands, so more than a colour-focused product, they want a conditioning product. Although it is slightly expensive, it’s because aside from henna, it contains several other ingredients like mango kernel and neem that help keep the hair softer, smoother, and glossier. As a colouring product though, it doesn’t do quite well, unless all you’re looking for are orange-red highlights, which only last for about two to three weeks. Even if you leave this henna powder on for more than 8 hours, the colour doesn’t go deeper than a reddish orange, so it’s not great for those who want to cover their greys properly. If you’re looking for a henna powder to dye your hair to a beautiful reddish copper tone, then this is the one for you. 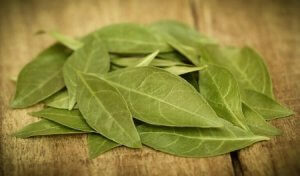 It contains no chemicals, so it is safe for those with sensitive skin as well. It is also great for those who not only want something that will colour their hair but also want it to make their hair appear glossier. It does have a really slow dye release time though, almost 12 hours, and it doesn’t mention how long you should leave it on to get the best results. It’s also a bit expensive, and despite that, it doesn’t mention whether it is safe to be used for creating body art, so its use will probably be limited to dyeing the hair. This is henna powder is perfect for those who want an all-natural option to colour their hair to a gorgeous burgundy shade. You must keep the henna on your hair for at least 6 hours to get the colour, but once it’s achieved, it lasts for a minimum of three weeks. 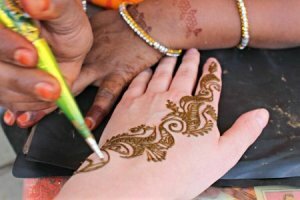 It can be used to create henna body art as well, although there are no reviews about that, so it is a bit hard to tell what the results are like. Furthermore, even though it is quite an expensive product, it doesn’t mention anything about the dye release time and sifting process. Those looking for a chemical-free henna powder that has a really short dye release time of about 1.5 to 2 hours should go for this product. You don’t even need to keep it on your hair for too long as most reviewers claim 2-3 hours is more than enough for a dark orange shade, although you could keep it on for longer to reach a reddish brown. 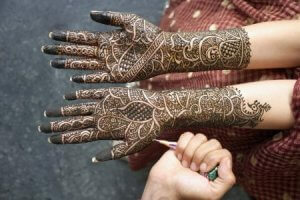 It is really expensive though, especially since this mehendi has limited use as it cannot be used for body art. 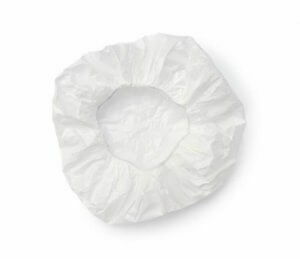 Additionally, the packet is quite small, and while it wouldn’t be a problem for those with short to medium length hair, it would not be enough for even a single use for those who have slightly longer hair. 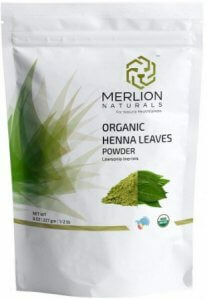 This henna powder is perfect for those who want something that uses just henna leaves, has no chemicals, and will dye their hair to a wonderful auburn shade. 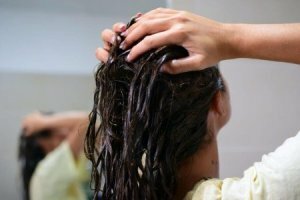 It has a considerably small dye release time of 3 hours, and aside from dyeing the hair, it also helps deal with dandruff and makes the hair much more lustrous. Although, if you want a multipurpose henna product that you can use on your hands or feet for body art, then this wouldn’t be the best option for you, as it is specifically made for dyeing and conditioning the hair. It’s also not that affordable, so if you’re looking for something budget-friendly, then we wouldn’t recommend this to you. 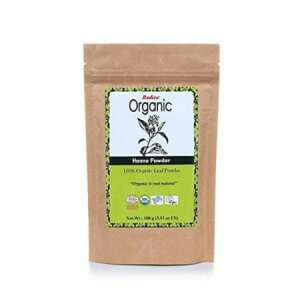 If you’re looking for an organic and ayurvedic henna powder that’ll give you a feel of luxury, then this is the one for you. It doesn’t make the hair dry, dyes your hair to a reddish brown shade if it is left on the hair for about 4 to 6 hours, makes your hair smoother and glossier, and the colour lasts for almost 3 to 4 weeks. It is one of the most expensive products on the list though, and while it has the most long-lasting effect, it can still burn a hole in the pocket if you want to use it regularly, or if you have long hair. Additionally, the shade is not dark enough for black hair, and many users have added coffee to the mixture to make the colour more intense. 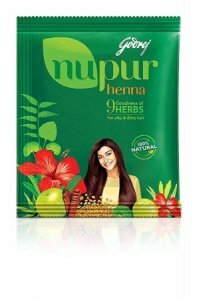 Those looking for an affordable henna powder that’ll not only help them colour their hair to a reddish brown shade, but also improve its condition, should go for this one. 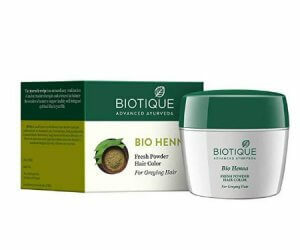 Aside from henna, it contains other hair darkening agents like amla, brahmi, and bhringraj, that help prevent premature greying and make the hair glossier as well. It is also really well sifted, so when you make a paste you won’t have any lumps and gritty bits. It contains no chemicals, and the dye release time is 6 hours, so if you make a mix at night, you can use it the following morning. You only need to keep it on for 4-6 hours for the desired results, so it doesn’t take too long either. 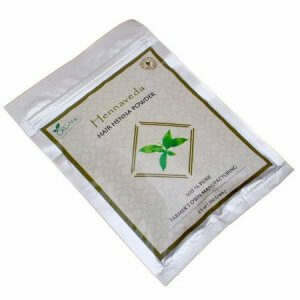 This henna powder contains 93% mehendi powder, and the remaining 7% is made up of herbs like amla, neem, and so on, that make the hair softer and reduce dandruff. It is recommended for those who’re fine with keeping henna on overnight to achieve a burgundy colour and those who want something that’ll not fade for at least 4 weeks. While it may be expensive if you’re buying one pack, if you buy two, it’ll end up becoming quite an economical option as you get one pack free. The dye release time is 4-6 hours, so we recommend preparing this mixture the night before you want to use it. We would also suggest you soak the mehendi in black tea to make the colour even darker. 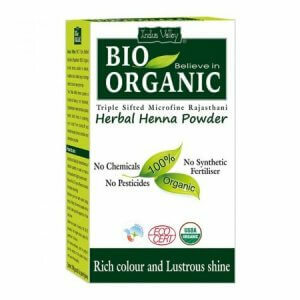 If you want a henna powder that is not only famous in India but is loved by international audiences as well, then this is the one for you. In addition to henna, this mehendi powder contains hair-darkening agents like hibiscus, bhringraj, brahmi, and amla, so it not only colours the hair but also makes it healthier to slow down more greys from popping up. 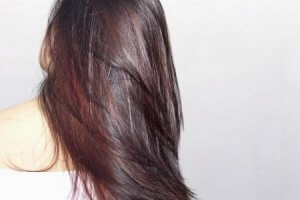 The dye release time is around 12 hours, and you must leave it on for 6 to 8 hours to get a dark red shade, which will almost make it seem like you have highlights if you have dark brown hair. The colour lasts for about 3-4 weeks, and since this isn’t too expensive, you can use it regularly without worrying about your budget too much as well! 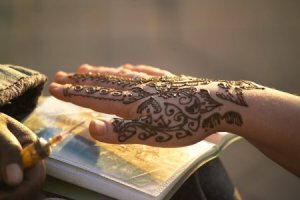 There are a few things you might want to know before you use henna to make sure you get the best results. If you’re more into slightly warmer shades, then you should keep your hair wrapped and warm to make sure you can achieve the brighter tones. On the other hand, if you prefer cooler shades, then you should keep your hair unwrapped and cool to make sure the henna will react in such a way that the end result is much cooler toned. One thing that you must be clear about is that natural henna never gives a proper black colour, it is always somewhere between orange to reddish-black. Depending on whether you waited long enough for the dye release before applying and how long you kept the henna on for, the results can differ. If you do want slightly more brown-black results, you should follow up the henna with some indigo. The blueish-black from the indigo and the reddish-brown from the henna combine to make the most natural looking colour for most Indian people. In order to make sure that you’re not allergic to any of the ingredients, and that the shade you’ll get is to your liking, we recommend doing a strand test. What you do is that you use the henna on a small section of your hair that is hidden from view, so even if you do not like the results, at least you won’t have to worry about it being visible to everyone. Since henna is an all-natural product, you need not worry about how often you’re using it. If you want to darken the shade you’ve got on the first application, you can apply henna again to make it much darker and less obvious. This is especially important for those with grey hair as the results from the first application would be quite light for them. Mehendi has been used in India for centuries, although for a long time people couldn’t buy it off the shelf, so the henna they used was often freshly produced. Therefore, they didn’t have to think as much before buying henna. However, nowadays, with the huge number of options on the market, it has become slightly more difficult to choose. We hope after reading our article, you are now more prepared to buy henna, and you know how you can choose the best henna powder for yourself. We also hope that our list of recommended henna powders made it slightly easier for you to choose and you were able to find a product that fits both your needs and your budget.